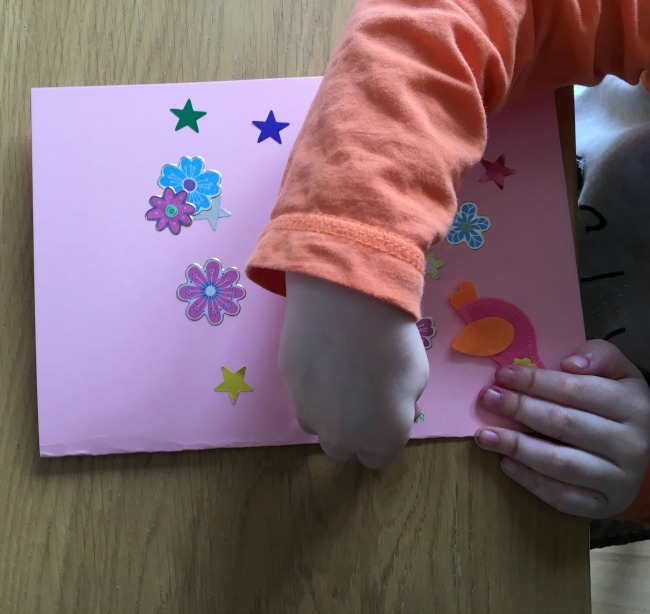 A birthday card even a toddler can make? That's a tall order unless you are happy for lots of mess! 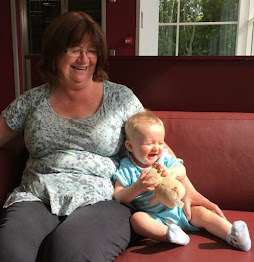 But it was a special birthday, Bears mummy's, so I wanted a card that Bear could make himself without me interfering. 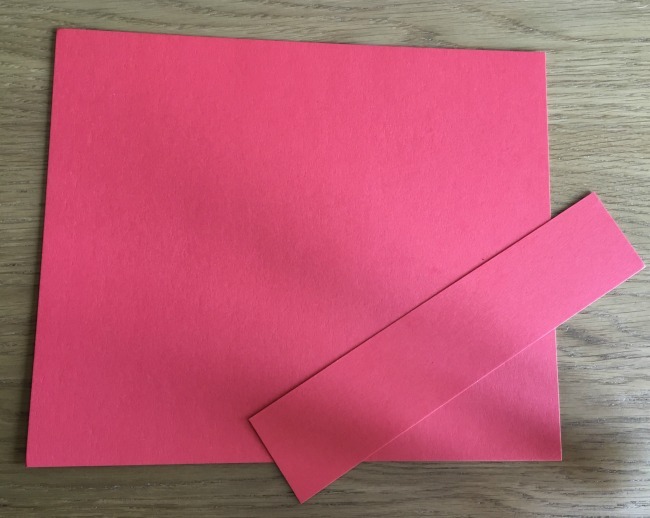 I folded the card and wrote the greeting. Bear did everything else. 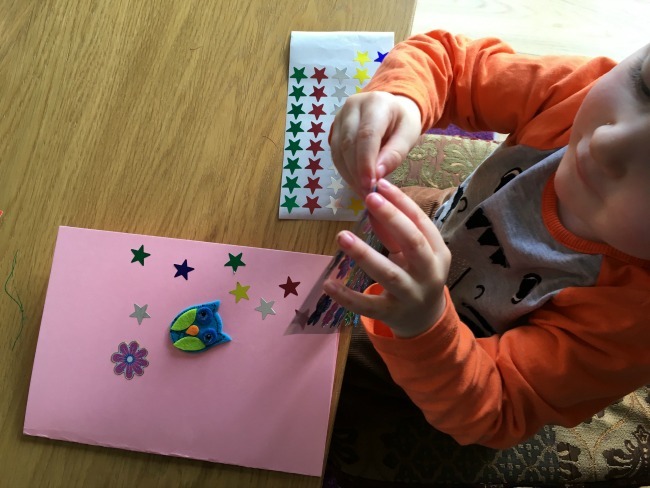 He chose the stickers and placed them on the card. You could make one using potato stamps and paint but we wanted something a little different so decided on using stickers. I bought ours at Tesco's and Wilko's but lots of places sell them. Bear's Mummy loves stars and owls. So that was our main theme with some pretty flowers too. 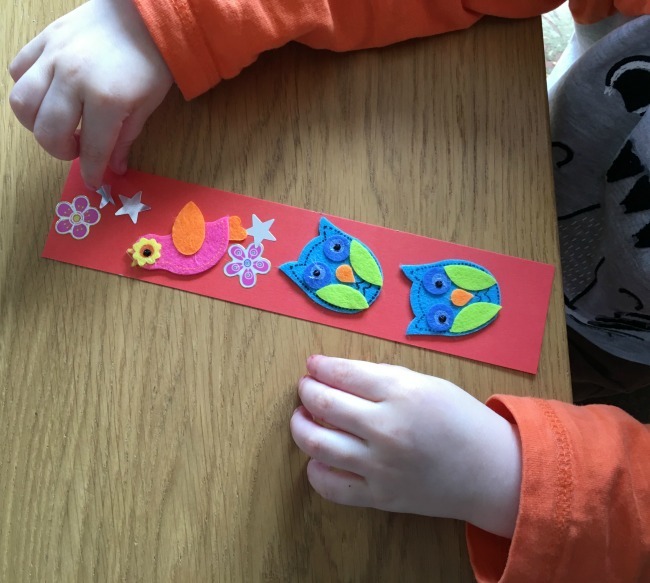 Bear made a lovely bookmark to match. 1. Peel the stickers and place on the card. I let Bear chose his own and put them wherever he wanted. 2. Once the card was looking beautiful I gave Bear coloured pencils and he drew inside. I just helped by writing a greeting on the front. 3. 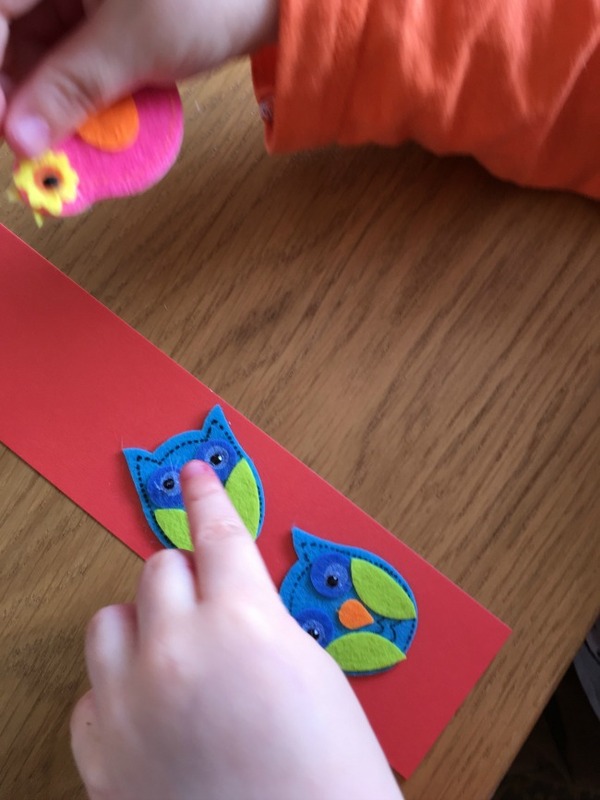 To make the bookmark I cut a strip from a piece of card and Bear put stickers on. He also decorated the back with stars. Bear loves stickers. I had also bought some animal stickers that he stuck onto card just for fun. I loved the way that nearly all the animals were up the right way. Only one little chick was "down" as Bear repeated until he sorted it out. I let Bear design his own card. I was amazed that he had so carefully placed each sticker. 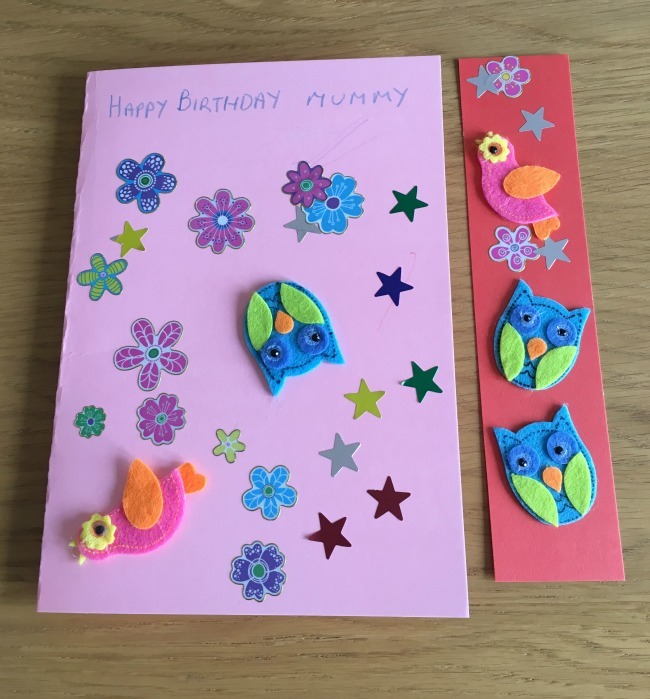 I wanted an instant effect that was mess free but you could also make a lovely card with cut out shapes stuck on with glue. 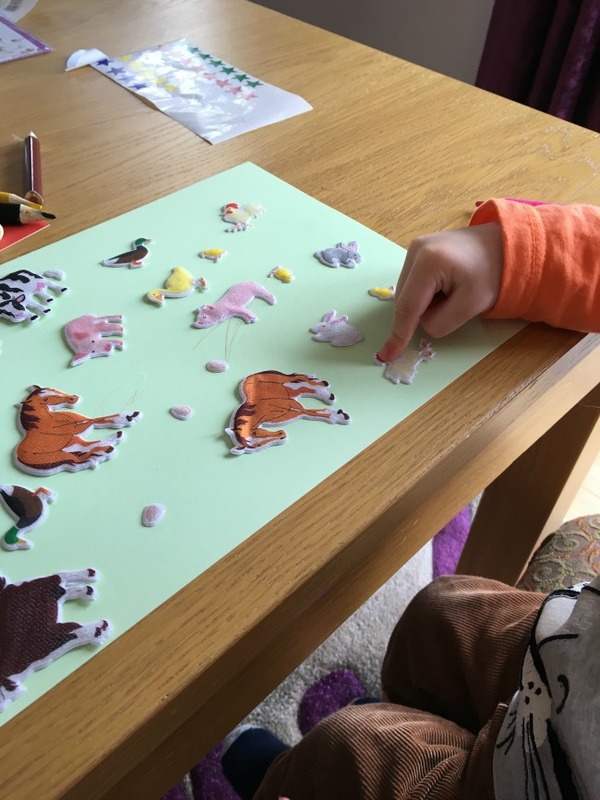 I'm always looking for easy crafts to do with Bear, I don't mind messy, have you any you could share?